Some progress for our OTP, but the annoying Princess really ruins everything. Previously on The Four… catch up with episode 16 recap! Things are never easy for our detectives. Just as everyone is about to set out for Long Xi, the bratty Princess arrives, begging to tag along on the mission. Leng Xue rejects the idea flat out by saying that the many servants she brought will slow them down. The Princess sends her people back to the palace and insists on coming. In addition, she flashes a royal golden pendant which symbolizes the power of the Emperor. Essentially, she can do whatever she wants as long as she has possession of the pendant . Boooooooooooooooo. Also, I’ve never seen a pendant this big; it’s like the size of her face. Who carries things like that around? Totally inconvenient. where was she hiding that before? What is worse is yet to come though. The Princess not only wants to become a giant burden… erm, I mean a companion on this journey, she is also determined to bother Leng Xue as much as possible. 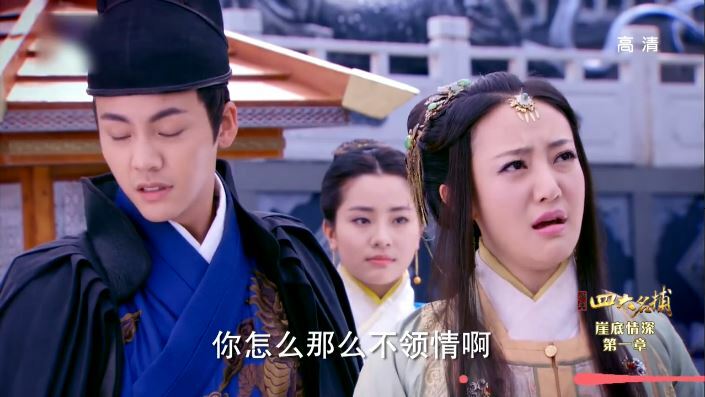 Leng Xue puts the princess under Ji Yao Hua’s care, but of course the Princess is unhappy with the decision. She asks to ride on Leng Xue’s horse and he coldly rejects (yay!). However, when she pulls out the pendant and demands it he has no choice but to obey. Leng Xue princess carries the Princess (hahhaha) onto the horse and Zhui Ming is totally jelly on the side. I think the Princess is one of my least favorite characters in all of this. Does she know no shame? And can’t the girl get a hint that Leng Xue is completely uninterested in her? 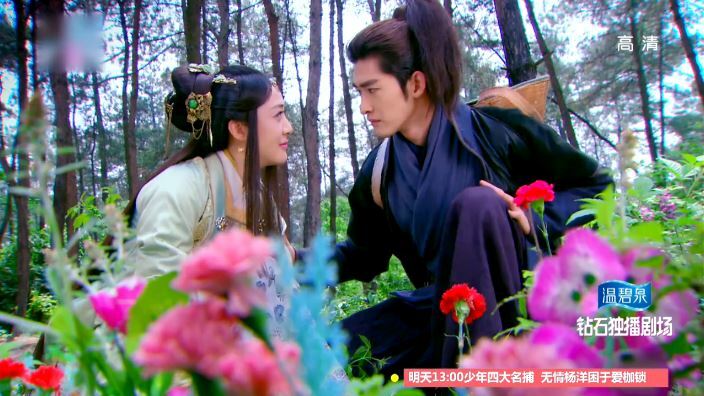 In any case, Li Mo also reveals that she doesn’t know how to ride a horse so Wu Qing offers to ride with her. She gladly accepts because she is crushing on him hard. I don’t know what feelings are festering inside Leng Xue, but I’m going to say he is a jealous man. SO it turns out that Leng Xue is really actually REALLY jealous, except he doesn’t realize it. 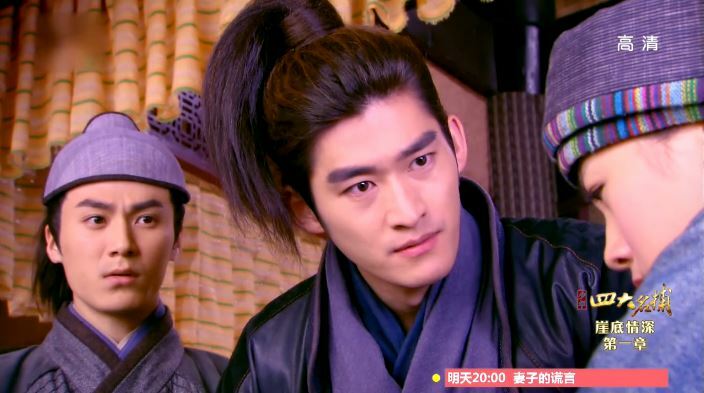 He even wonders to himself why he is feeling so weird about Li Mo riding with Wu Qing. And to top that off, he also admits to himself that the sleeping Li Mo is very pretty. Omo, are we seeing progress here? I can’t wait till he busts out some cheesy lines about how Li Mo is his, even though that’s so very typical. Anyway, remember how Nu Nu brought Ru Yan in the giant cage to Long Xi? Well, she has arrived in some hotel and almost immediately all her underlings get knocked unconscious by some fragrant scent, the doing of Wen Ru Yu and his like. Wen Ru Yu promptly asks Nu Nu to turn in the special item (aka the royal stamp), but she doesn’t know what he is talking about. So he commands his son, the creepy guy and Yi Yi to retrieve it from the golden cage, but they get knocked down upon impact. Yi Yi takes this opportunity to fake pass out. After learning that the Four is on their way over, the Wen clan retreat, but strangely enough they leave Yi Yi there on the floor. Oh, and apparently the fragrant scent will kill you in seven days. why’s this guy so creepy? The Four arrives on scene and Wu Qing immediately sees Ru Yan in the giant cage. He runs to her, but alas he cannot break the bars. 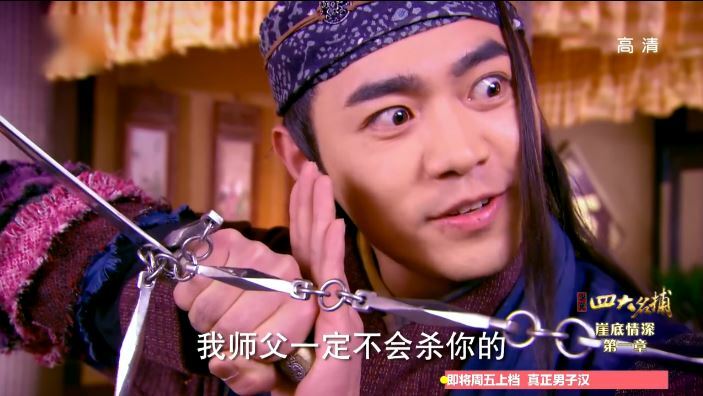 Tie Shou explains that one cannot cut through no matter what, but of course Wu Qing is not going to listen. So Tie Shou attempts to stop Wu Qing by using a chopsticks, but instead gets attacked by Yi Yi who is hiding behind a pole. After curing Tie Shou of the scorpion poison, Yi Yi tells them the story behind Ru Yan and the cage. Once she reveals that she is now Wen Ru Yu’s student everyone clamors for her to give Ru Yan the cure for the poisonous fragrance, but she’s like yo man I’m new I don’t got the stuff! Well, I mean, in so many words. Eventually Yi Yi tells them the ingredients for the poison and they figure out that if they can find the cure for each of the ingredient then they can possibly save everyone! Yay! But not so fast, bratty Princess splits everyone up into teams to look for the different herbs, and of course she puts her and Leng Xue together. Argh. So annoying this girl. I’m not the only one pissed off at the Princess. She wants Leng Xue to walk slowly with her, but he doesn’t want to. He tells her to walk slowly by herself while he search for herbs. So bratty Princess pretends to twist her ankle and Leng Xue quickly comes back. She then demands that he pick a flower for her. OH MY GOSH. THIS WOMAN HAS NO SHAME. Also, does she not realize there are people dying? So selfish!!! Argh. Leng Xue excuses himself to pee, but he calls for Zhui Ming instead. When Zhui Ming arrives, Leng Xue assigns the task of taking care of the Princess to him and leaves. Yes! Dump the Princess! Woot woot! 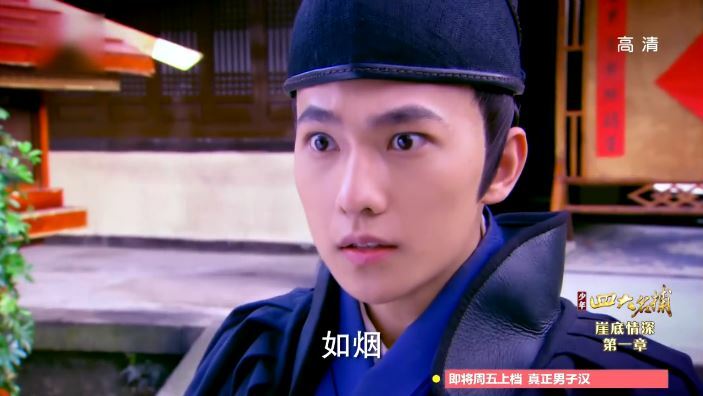 Zhui Ming happily goes to greet the Princess and she throws a giant tantrum about how Leng Xue left her again. Well, I would also leave you. Zhui Ming patiently explains that their duty is to pick herbs to save people, not to play around on the mountain. She wonders why she needs to care about the people because to her they are like ants, not worth it. 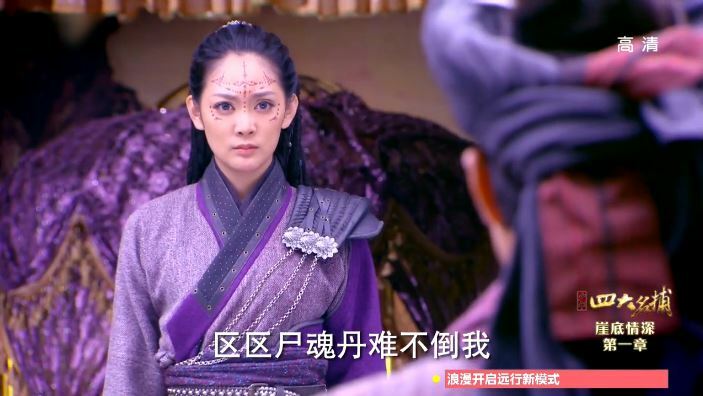 Zhui Ming questions her attitude and scolds her for thinking this way, because as a princess she should care for the wellbeing of her civilians. Plus, even ants have lives. Well said, Zhui Ming! Well said! The Princess doesn’t really absorb any of Zhui Ming’s words. She is convinced that those people don’t matter and all that matters is her alone time with Leng Xue. 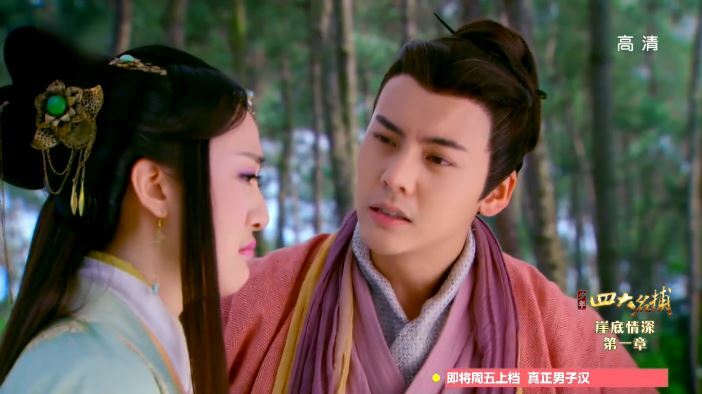 Zhui Ming shakes his head in disappointment and tells her he now knows why Leng Xue cannot stand her. Yup, I’m surprised you are still interested in her. Haven’t had enough? Click for episode 18 recap! While on the way to Long Xi, Zhui Ming imagines that the Princess is riding with him instead. 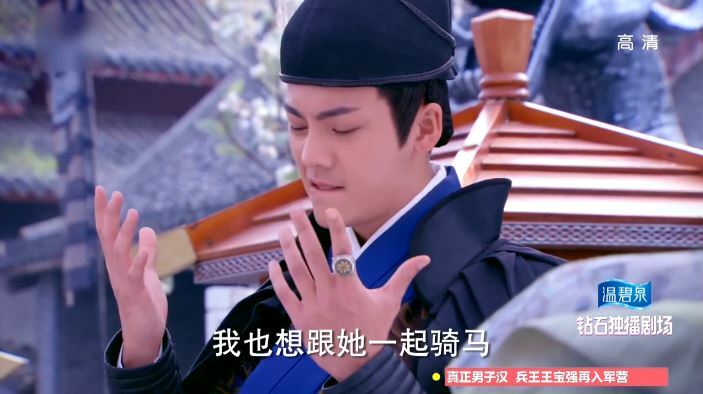 Li Mo notices that Ji Yao Hua is sick and is throwing up blood. 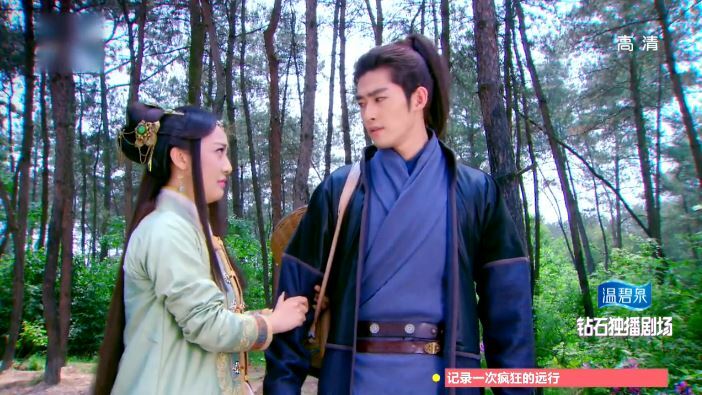 Ji Yao Hua asks Li Mo to keep her distance from Leng Xue.